78 and sunny for Saturday, coming from a high of 29 when I leave for there this might make me feel like I a melting. Can't wait to see my kids reaction when we get there. I'm so psyched about this! 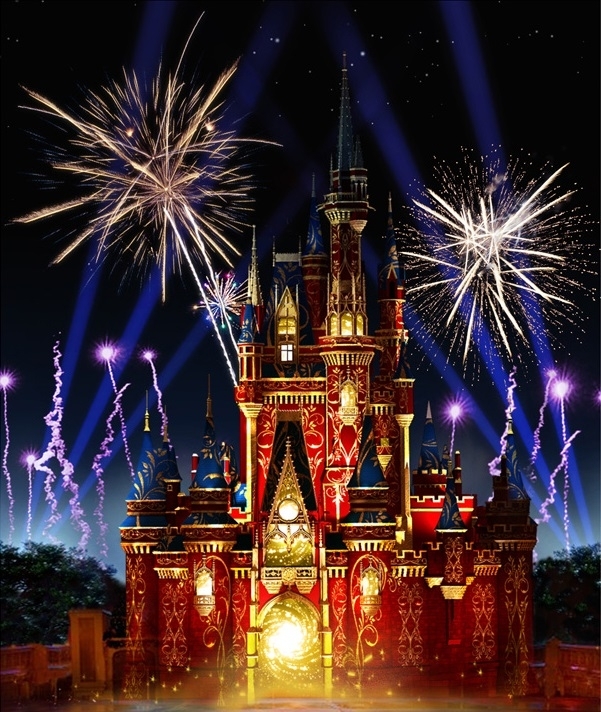 IMO, Wishes has played a long enough run the park was overdue for a new fireworks show. I'm probably just as excited for this as I am any other new attraction opening! This is the project I have been working on and I am stoked that it is finally getting closer to opening. It is definitely going to be a spectacular in the sky. While I am sad to see 'Wishes' go this new show is totally going to deliver in ways that 'Wishes' never could. It looks amazing! And I'm not gonna lie, when I saw the pic I instantly felt that I would not be mad if they painted the castle like that, at least for a season or two. I'm absolutely thrilled for this. It'll be nice to see the combination of projection and pyrotechnics that the other Magic Kingdom/Disneyland parks have had for a while. It makes for a more spectacular, impressive experience. ^^ In those dark colours, which I love, on the castle, the effect in the daytime, may be "darker" than Disney intended. then look awesome in the day time. Still dark and forboding...and pure villany! Listening to that soundtrack (or at least a small portion of it) has got me hyped for the new show! I'm honestly baffled by how furious some fans are about the new show. "Wishes" is cool and all, but it's been running for a long time now. This new show looks like it'll put "Wishes" to shame. People get used to some "classic" shows (for example, the Electrical Parade), but change is often a good thing. Disney always does a great job with fireworks and projections. You know, I'm not going to lie. . . At first I was disappointed to hear that "Wishes" is leaving. However, the more I have thought about it, the more excited I am that it's happening. Wishes always seemed a bit dated, and with all the new technology available now it will be really exciting to see what the park comes up with!! Now, I'm actually excited to see the new show! !